Egypt! It’s been a dream of mine for years. I can’t explain exactly why, but ever since I began homeschooling Mikayla and Ryan in first grade, and teaching them about ancient civilizations and the Egyptians, my desire to visit the Pyramids of Giza was ignited and has grown ever since. I’m not the only one. All of the kids seemed to have this destination at the top of their list of places to go and things to do when we discussed potential itineraries. Ancient civilizations fascinate them as well. At the very start, we were hesitant to go, because we had heard negative things about the destination itself regarding instability and danger. While we desired to be adventurous and not miss out on any great experiences because of fear, we also wanted to be cautious and make wise decisions. So…we put off making a decision until we got closer to the time of travel. We planned to get up to date information from friends of our dear friends, living in Cairo. 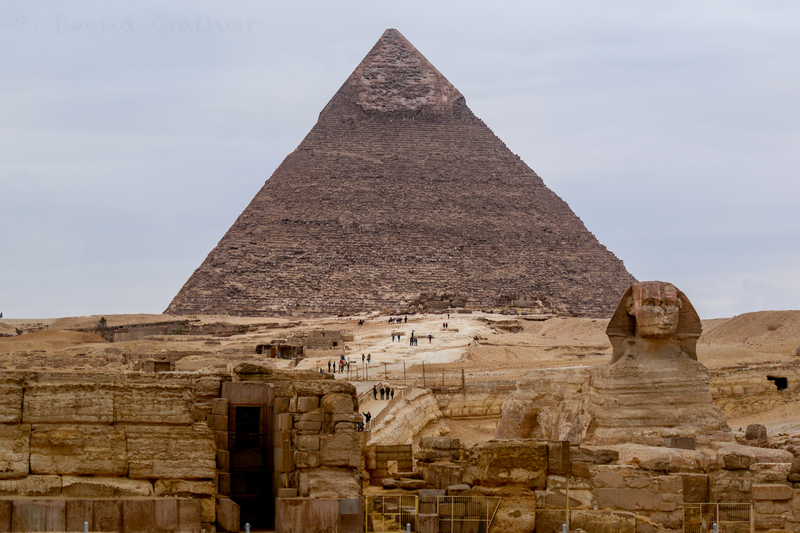 Unfortunately, when the time came to travel, we discovered we were not able to get flights that matched our itinerary well, and so we (sadly) decided to skip the Pyramids this time around. It was a difficult decision but thankfully, God had other plans. The flights we ended up purchasing through Qatar Airlines were canceled at the last minute because our purchase was flagged as “suspicious.” Even after providing passport copies and bank documents, we were denied the flights. 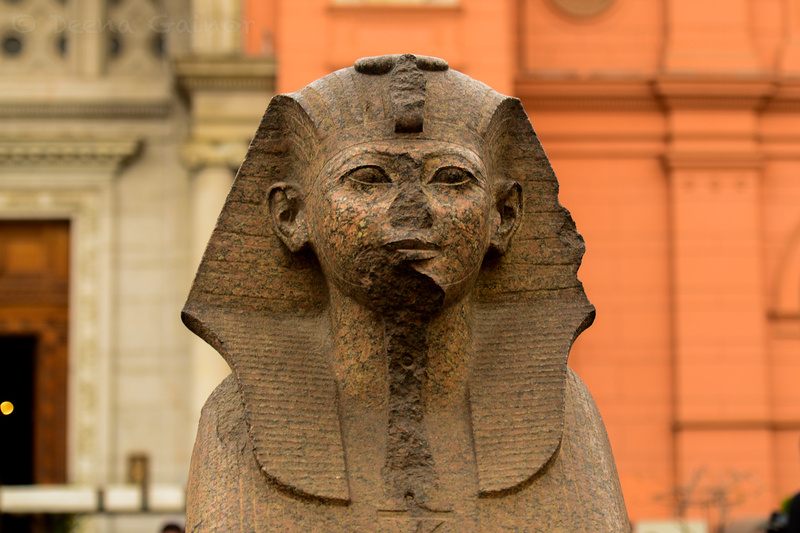 So we scrambled quickly to find an alternative, and amazingly, the exact flight I had initially hoped to get was now available, allowing us to stop in Cairo for a full day, and experience one of the greatest wonders of the world. It is an experience we will never forget. First stop? The beautiful Egyptian Museum. We were only allowed to photograph outside, so we have no photos of the interior. That was a little painful, as you are surrounded by beauty! My favorite display was King Tut’s treasure. I was especially captivated by the statues using jewels and crystals for the eyes. They were just gorgeous! After exploring the Egyptian Museum and then different parts of Cairo (Coptic, Jewish, and Islamic) and sampling a little Falafel, we were finally off to the Pyramids, the only one of the Seven Wonders of the Ancient World that still exists today. The mystery of how they were created has always intrigued me. I can’t even describe the excitement we felt as we pulled up to the Pyramid parking area, competing only with camels for a spot. It was an unusually cold day, and we were not quite prepared for the low temperatures, but the hidden gift was far fewer tourists and no lines. The Pyramids were larger than I expected and it’s hard to capture their enormity on film. Just standing on one of the foundation rocks, most likely weighing in at over 5,000 pounds, and knowing they were created and brought in without modern tools and technology is quite bewildering. It seems impossible and yet, the Pyramids are still standing today, so well preserved and beautiful, even without their limestone casing. Maybe one day we’ll discover their secret. Riding a camel to the Pyramids is a must do, but hold on carefully. They are definitely more tricky than riding horses and elephants, and quite honestly, if you fell off, I do believe the camel operators would just laugh. So be careful and stay balanced! And as always, make sure to set a price ahead of time, also taking into account that the camel owners will expect to be tipped quite generously afterwards. We didn’t have to negotiate pricing because we were with a tour guide, so that was a relief. 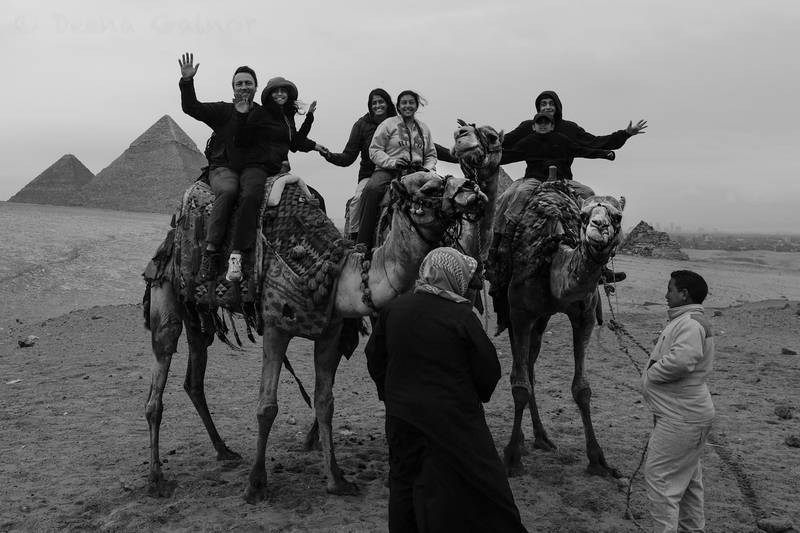 And here we are on our camels, trying hard not to fall off. 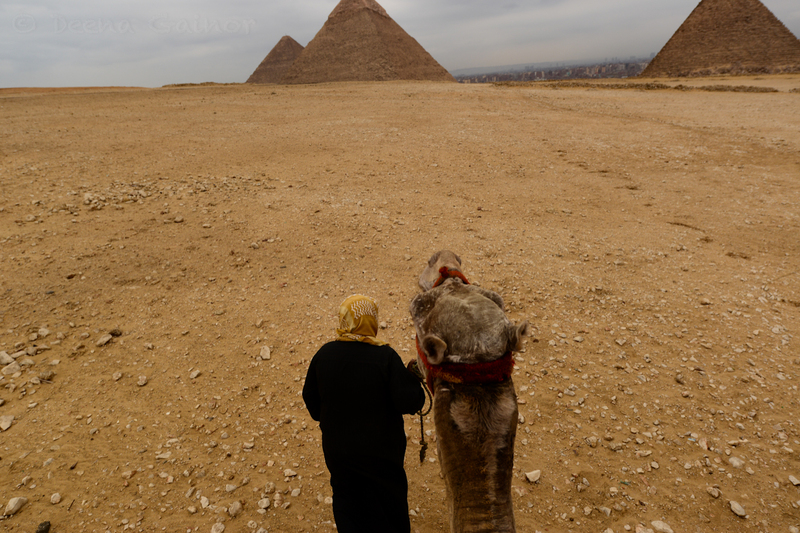 Here is a view of the Pyramids from on top of our camel. I wouldn’t recommend carrying your camera up that high, but I couldn’t help myself. 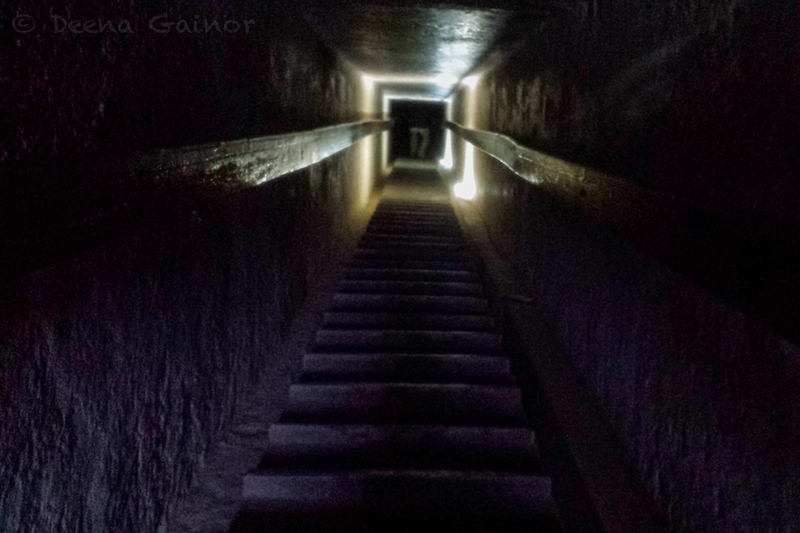 Descending into the interior of the pyramids was also a highlight. 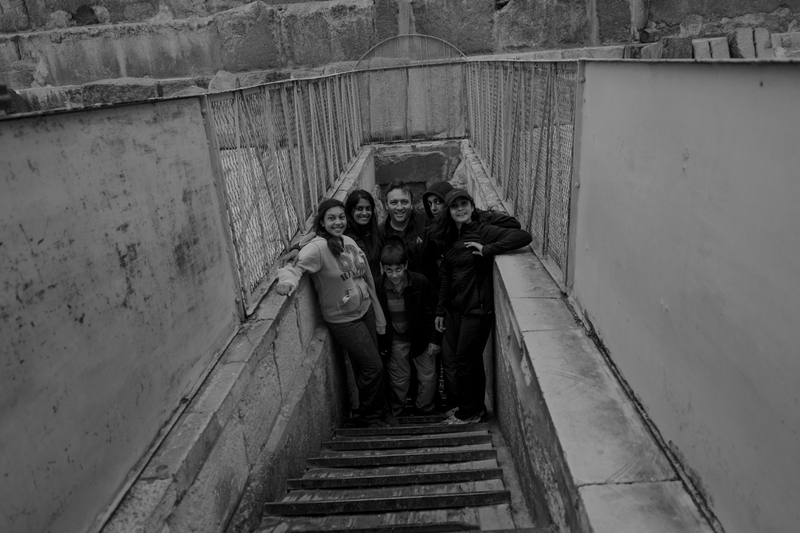 I have to admit I was a bit nervous, as the passageway is narrow, dark, and steep. And of course, it doesn’t help when your children decide to hide in the shadows and jump out at you in an area that is pitch black, but that’s another story. After descending for a while, you then begin to ascend, and are lead into a large, open interior room with a unique, black, granite sarcophagus. We couldn’t help ourselves; we had to snap a quick shot. 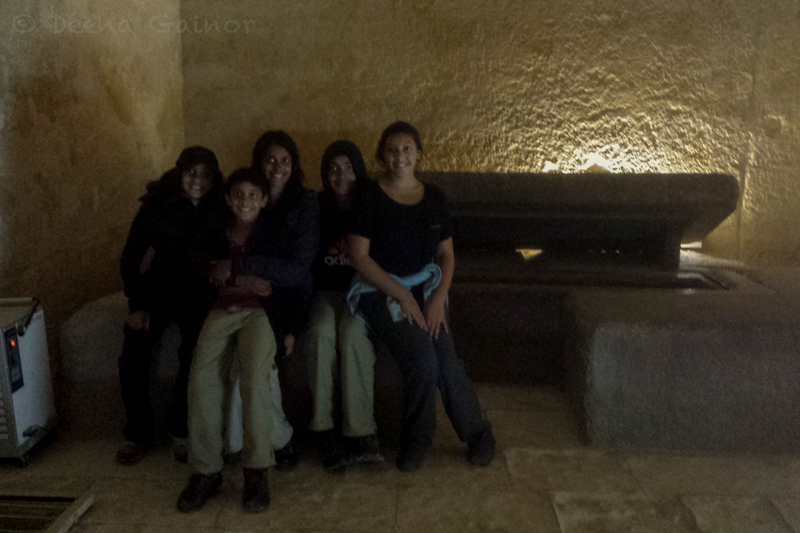 As intriguing as it was to be in the interior of one of the Pyramids, it was also a relief to make it safely out again. Just a warning…if you’re claustrophobic at all, you may want to reconsider entering the Pyramids. And if you feel like you must do it, then perhaps consider entering the smaller Pyramid (Khafre – son of Khufu) versus the largest one (Khufu). After exploring the Pyramids and the Sphinx, we were able to visit the Massiehs, dear friends of our friends in Chicago, who we now also call friends! 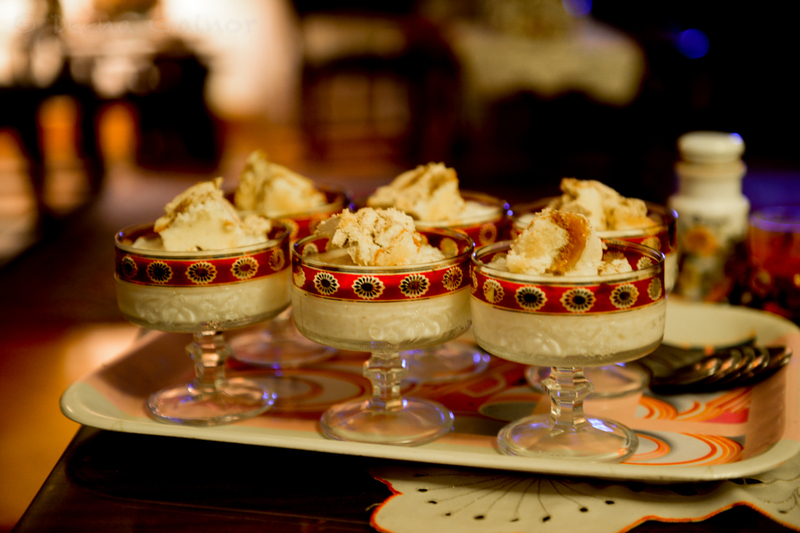 Thanks to the Massiehs for their warm hospitality and delicious coffee and dessert! We were touched by their kindness and will hopefully meet again one day. Connecting with them was most definitely a highlight.